The U.S. Department of Transportation has ordered that Samsung Galaxy Note7 smartphones can only be carried by crew and passengers on planes if the phones are switched off and are not connected to charging equipment. 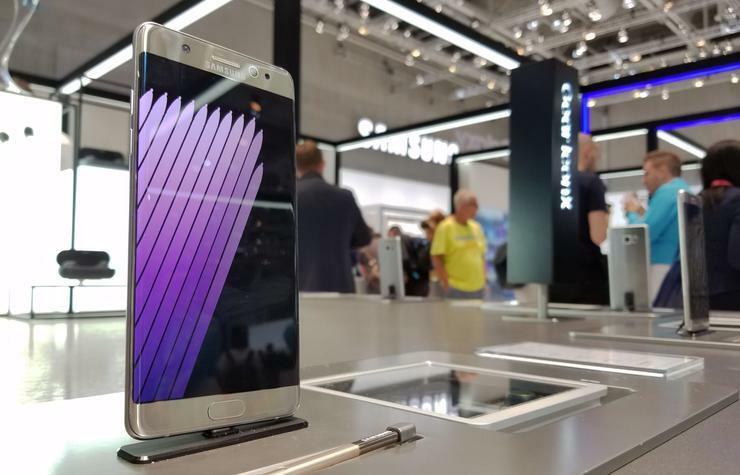 The order follows an official recall announced Thursday of 1 million Note7 smartphones by the U.S. Consumer Product Safety Commission, following concerns about faulty batteries in the devices which could overheat and even explode. People can now travel with the smartphones on aircraft only if they disable all applications like alarm clocks that could accidentally activate the phone, protect the power switch to prevent the phone from being inadvertently activated or turned on, and store the device in carry-on baggage or on their person, and not in checked baggage. "Our primary concern is always public safety. Anyone who chooses to travel with a recalled device must take precautions to ensure its safe handling," said U.S. Transportation Secretary Anthony Foxx in a statement. The Federal Aviation Administration had last week only strongly advised passengers not to turn on or charge their Galaxy Note7 smartphones on board aircraft, or stow them in checked baggage. It appears that the restrictions have now got tighter after the CPSC recall, though there are still questions about how the authorities are going to monitor compliance with its order. A number of regulators and airlines around the world have placed restrictions on the use of the smartphone on planes after reports of the battery issue. CPSC said it has received 92 reports of the batteries overheating in the U.S., including 26 reports of burns and 55 reports of property damages. Under the remedy announced on the CPSC website, customers will receive refunds for Note7 phones sold before Thursday or replacement without charge with a new Note7 with a different battery, which Samsung Electronics said would be available not later than Sept. 21. The company has also announced an exchange of the Note7 with its Galaxy S7 or Galaxy S7 edge devices, and replacement of any Note7 specific accessories, with a refund of the price difference between devices. DOT’s Pipeline and Hazardous Materials Safety Administration (PHMSA) said it had issued a special permit to Samsung that outlines the requirements retailers must follow when shipping the recalled devices.